Available to current members who are pursuing an equine-related post-secondary education and who exemplify the objectives, vision and mission of the AEF. Named after Honorary Life Member, Bill desBarres. 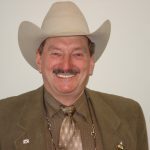 Bill gave selflessly of his time as a volunteer on the AEF board and within the horse industry for the past 35 plus years. This $500 annual Scholarship is intended to honor his lifelong commitment and dedication to the horse community. Available to current members who are entering or enrolled in Animal Health Technology at a Canadian accredited post-secondary educational institution. 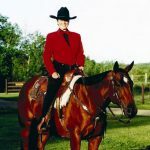 Charlene Baker was a western level 2 course conductor and western level 2 certified coach for the province of Alberta. Charlene was heavily involved in 4H as well as provided many clinics and teachings for Lakeland College in Vermillion, AB all based on the EC guidelines. 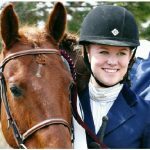 Charlene was a very competitive rider, in addition to her successful coaching career, and was instrumental in organizing many competitions in the NE region of Alberta. Charlene believed that it was important that people see coaches out there progressing and using the EC program. The AEF is pleased to present this bursary in Charlene Baker’s memory, for her dedication, passion and love towards horses and the sport of equestrian. Available to the rider who has achieved the highest score on the Western Learn to Ride Level 4 test. Applications are sent directly to eligible individuals. Sonja Burton, age 17, was an accomplished equestrian with two horses that both complemented her personality: one a cowgirl, the other a princess. Sonja started riding at the age of 8 years old and was immediately hooked. Sonja spent at least 4 times a week in the saddle training at Amberlea Meadows, in Edmonton, AB. She was a very technical rider and took to the sport like a fish to water. She collected a slew of trophies and ribbons over the years. Sonja graduated in June 2015 with distinction from Harry Ainlay High School and planned to pursue her Bachelor of Arts Degree and eventually study Law. The AEF is pleased to present this bursary in Sonja Burton’s memory, for her dedication, passion and love towards horses and the sport of equestrian. Available to the rider who has achieved the highest score on the English Learn to Ride Level 8 test. Further scholarship opportunities for Alberta students offered by a variety of organizations for students pursuing equine-related post-secondary education. Provided for informational purposes only – all applications and inquiries should be directed to the individual associations offering the scholarship.